Nicolas Bélanger est chercheur au CEF et professeur en sciences de l'environnement à l'université à distance de l'UQAM (i.e. Téluq). Il s'intéresse tout particulièrement à la populiculture et à la culture du saule pour la séquestration du carbone et la production de bioénergie. To improve the training of our graduate students (M.Sc. and Ph.D. level, not Post-Doctorates), training courses, internships and awards for participating in international congresses are granted to the majority of our students. We offer internships outside of Quebec to all doctoral students desiring such experience. Funds for these activities are offered through the CEF financial aid program for conferences and internships. Le Fonds Nature et Technologies wishes to support the international mobility of masters and doctoral students, who are members of established research groups. This program, which is one to three years in length, provides funds to these groups so that they may provide bursaries to graduate students for international internships lasting on average six months (minimum 2 months, maximum 12 months), according to the needs of the candidates and the groups concerned. These financial aid awards have a maximum value of $15000. This sum will be used to cover the travelling and living expenses of the student. CEF will be able to allocate 4 to 6 awards per year to graduate students for international internships. Certain conditions apply. Candidates must be citizens or permanent residents of Canada, and Quebec residents. This program seeks to help students participate (through posters or oral presentations) in international conferences, advanced courses or internships. Only requests totalling more than $500 of admissible expenditures are eligible. To be considered, the requests may be made to the contact person at your pole before the following deadlines. Grants from the CEF thus encourage participation in costlier conferences. For less expensive conferences, you should speak directly to your adviser. Request form for conferences, advanced courses and internships. NOTE: The FRQNT generally opens an international internship competition in November. The FRQNT awards for this program are on a first-come, first-served basis, depending on the funds available. So, in order to benefit our students, please submit your application for international scholarship FRQNT at the same date as the CEF's program for financing congresses and internships, November 8, 2019. CEF will award an international FRQNT scholarship to its students only if FRQNT funds are available. The Sherbrooke pole has a separate financial aid programme for conferences and internships that is administered by the Faculty of Science, University of Sherbrooke. Please contact Marc Bélisle for more information. Accessibility to financial aid - All full-time students registered in a graduate program under the supervision (or joint supervision) of a professor-researcher, who is a regular member of the CEF, are admissible to the financial program until the date that their final thesis or dissertation is submitted. Moreover, one financed training course must be carried out prior to the initial thesis or dissertation submission. All student-researchers must receive financial support from their advisor with respect to expenses not supported by this program. This approval is recognized either by the signatures of the applicant and his/her director on each request, or by an electronic authorization of the director, which is sent to the person in charge of the pole concerned. Rules specific to the training courses - The student-researcher registered for a master’s degree can be only financed for one training course within the CEF, i.e., in a laboratory of a regular member of the CEF. The student-researcher registered in a doctoral program can make a demand for an internship award without such restrictions. * Total admissible amount: the entire amount of the request readjusted after evaluation of the request. This amount must be greater than $500 for each request. ** Maximum allowable mount: maximum amount for which the student can make a request. *** Justification of the relevance of the internship must be attached to the request. Admissible expenditures include costs of transport, lodging and registration for conference/training course. Expenses for food are not admissible. Each demand for a bursary must include allowable expenses totaling at least $500. This expenditure is revised by the committee at the time the request is evaluated. Calculation of expenses - calculation of living expenses is carried out according to the standards of the institution where the student is registered. The students are required to minimize their expenditures, for example, by making early airline ticket reservations in economy class, and lodging in the most affordable accommodations that are available. In the case of internships, it is the responsibility of the student to ensure that expenses for which he/she is requesting reimbursement are refundable in agreement with university standards. Advances - the student-researcher can make a request for an advance, after informing his/her research advisor. Expense report - The student to whom a grant is award is required to complete an expense report upon his/her return from the conference or internship to allow the transfer of funds. The amount that will be given back to the student is defined according to the expenses that have been presented (with supporting documents) in the report, to the maximum allowable limit. Reports, volunteers - students who have merited an award will have to contribute in various other ways to activities of the CEF. All the students who will have received a award will have to write a report regarding their participation in the conference. This report will be published in the Off the cuff section of the CEF Web site. The research professionals of the CEF also maintain a list of the award offers which have crossed their desks. The FRQNT's (Fonds de recherche du Québec – Nature et technologies) international internship aims to foster international mobility of students whose research activities are part of the scientific program of a strategic cluster funded by the FRQNT. The internship is a supplementary tool available to a strategic cluster to strengthen its position at the international level through research projects and partnerships that have already been established or which are under development. Therefore, the CEF will allocate international internship grants to students in master's and doctoral programs, under which certain conditions apply (see document). Please note that program rules for international internships have been reviewed. Be a member of the CFR (CEF). Location of the internship: The internship must take place outside Quebec for students enrolled in a Quebec university or Quebec for students from abroad. Restrictions:Students who are jointly supervised by a researcher in a foreign university (co-degree) are not eligible to apply for an international internship scholarship to visit one of their home universities. 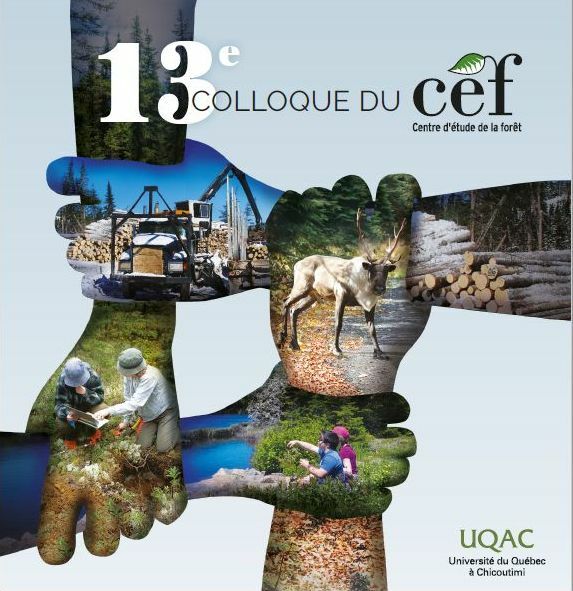 Students applying must transmit to the coordinator of CEF (Luc Lauzon, lauzon.luc@uqam.ca). Each application must include: 1. the candidate's academic record (transcripts of university studies); 2. a full CV; 3. PIN FQRNT of the student; 4. a letter of support from the director justifying the relevance of the course 5. a description of the internship project (dates, location, etc..) and his correspondence with the research program of the CFR and its integration into the international actions of CFR; 6. a detailled budget and total amount requested. The inclusion of the internship in the international actions of CFR (25). Describe how this internship could facilitate or increase future CEF international collaboration opportunities.